The Standing Committee of the Bern Convention that held its 38th meeting in Strasbourg on 27-30 November decided to open a case-file and called on the Albanian authorities to suspend Hydro Power Plant (HPP) projects on Vjosa River. “The Government of Albania: Uses the precautionary approach and suspends both Kalivac and Pocem hydropower plant projects – as their implementation would pose compliance concerns with the Bern Convention – until the necessary strategic planning and additional assessments are carried out in conformity with Recommendations 2-10 below,” was noted on the list of decision and adopted texts of the 38th meeting of the Bern Convention. Hence, Albanian authorities should take the steps to implement all the 12 recommendations adopted by the Standing Committee. In the meantime, balkanrivers.net highlighted in a press release issued on Monday that the Albanian government should prepare appropriate strategic environmental impact assessments and additional studies to evaluate the environmental impacts of the projected hydropower plants. “The Vjosa river network is really unique and of pan-European value. Now we and the representatives of the Bern Convention have to keep a very close eye on what steps the Albanian government will take to implement the twelve recommendations adopted by the Standing Committee”, EcoAlbania’s CEO Olsi Nika was quoted as saying by balkanrivers.net. 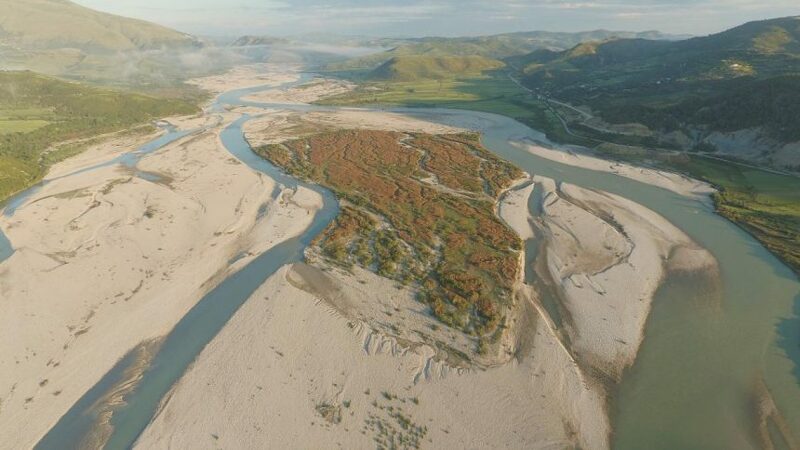 Specialists from three environmental NGOs, EuroNatur from Germany, Riverwatch from Austria, and EcoAlbania have been organized as part of ‘Save the Blue Heart of Europe’ campaign to raise awareness against river damming in the Balkans. Further on, a new publication on Vjosa River based on the data that over 60 scientists from Albania, Germany, and Austria have collected About Vjosa biodiversity and on the effects of dams to the coastline will be presented in Tirana on Thursday, December 6th.